A faster way to ship life-saving supplies across the country. In Rwanda, transporting critical medicine and blood can be difficult if the patient is in a remote location. Heavy downpours can wash out the roads, and local hospitals are often too small to stock everything their doctors might need. Now, the Rwandan government is side-stepping the problem with a drone delivery program. In the western half of the country, 21 transfusion clinics can request batches of blood via text. The order will be picked up by Zipline, a California-based robotics firm, at its "nest" base in Muhanga. A small drone will then be deployed and, upon arrival, swoop down low to drop the package off at a designated "mailbox" area. 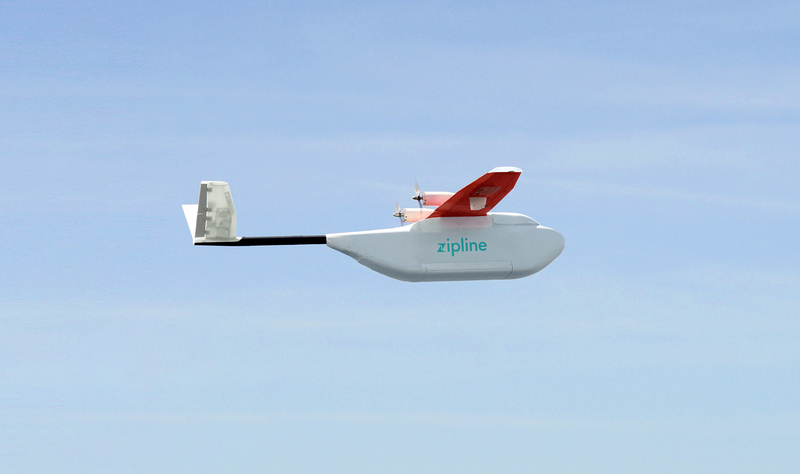 The new "Zip" drones can carry up to 1.5KG of blood -- enough to save a person's life -- over 150KM. Zipline is starting with 15 drones which will make 50 to 150 emergency flights each day. Each delivery should take 30 minutes, bypassing any problems or poor infrastructure down below. In the future, the government hopes to expand the scheme and offer different types of medicine and lifesaving vaccines. The first step, in early 2017, will be to offer similar blood deliveries in the eastern half of the country too. Over the course of the next year, Zipline -- along with its partners, UPS and Gavi, the Vaccine Alliance -- will look to see whether the deliveries can be replicated in other countries across Africa and the Americas. Eventually, the group wants to serve Indian reservations in Maryland, Nevada and Washington state. "The hours saved delivering blood products or a vaccine for someone who has been exposed to rabies with this technology could make the difference between life and death," Dr. Seth Berkley, CEO of Gavi said. "Every child deserves basic, lifesaving vaccines. This technology could be an important step towards ensuring they get them."